T-shirts devoted to pho-puns — Pho Sure, Pho Real, Got Pho?, What the Pho? Just Pho You? — offer a glimpse to how popular the Vietnamese noodle dish is. 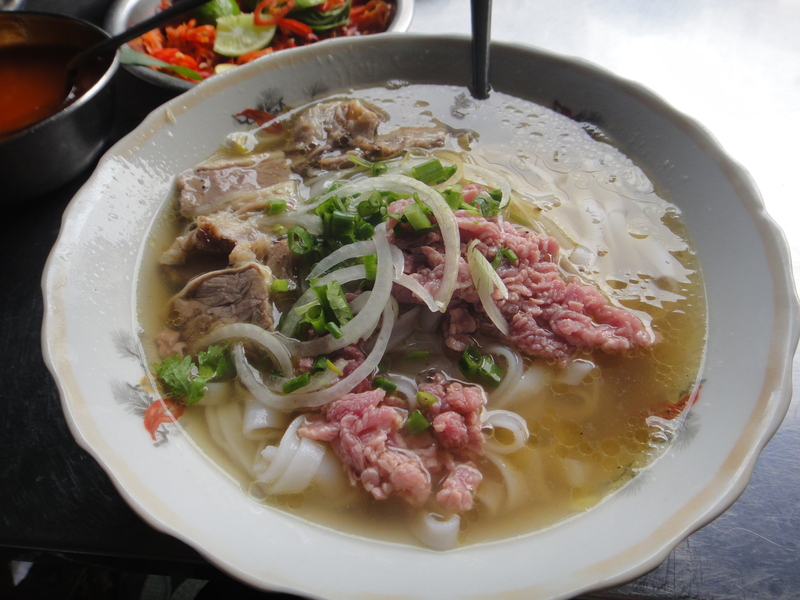 Rightly described by Peta Mathias, author of Noodle Pillows, as “Vietnam in a bowl, heaven in a spoon, culture in a sip,” the noodle broth comes in the raw beef version (pho bo tai) and chicken pho (pho ga). My first unforgettable, I mean unphoghettable sip of omg-this-is-goddamn-out-of-this-world-amazing pho was at Ho Chi Minh City (formerly known as Saigon), Vietnam in 2011. In fact, the alluring taste of the translucent, clear broth (comparable to consommé) that hinted sweet tender beef and aromatic herbs, had me revisit Vietnam a second time. But I was forever cursed. For afterward, no matter how hard I searched, I seem forever sampling inferior copy of that pho. And did I mention after factoring in the exchange rate, the omg-this-is-goddamn-out-od-this-world-amazing pho costs only 75 cents? 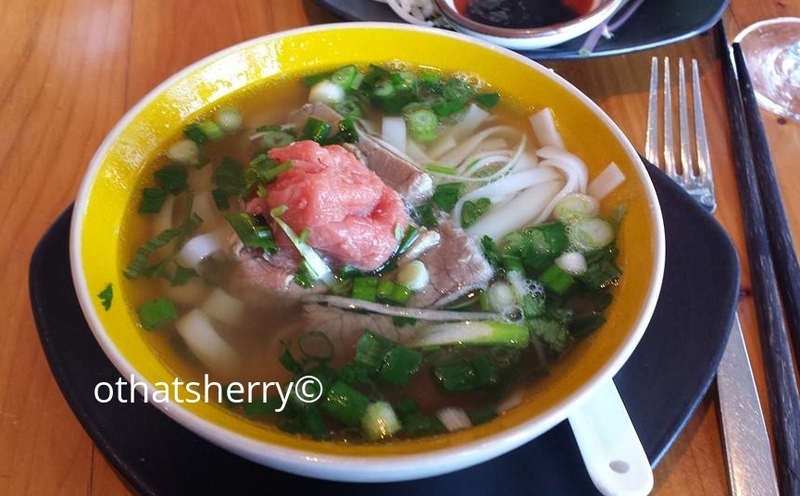 This entry was posted in Dining & Drinking, Southeast Asia, Travel, United States + Canada and tagged HCMC, pho, san francisco, Slanted Door, Vietnam on January 15, 2015 by Sherry. Recalling my one-month journey in Southeast Asia, wandering through Malaysia, Thailand, Cambodia, and Vietnam, I note, with a degree of whimsical irony, that I began and ended my travel with a bowl of noodles. I kick started my eating foray with asam laksa, a spicy and sour tamarind based noodle soup with explosive flavors in Penang. Then, coming full circle, I concluded with a steaming hot bowl of pho in Ho Chi Minh City. In a Proustian-like occurrence where taste begets memory, the city will forever be intertwined with lime juice, hot peppers and aromatic herbs. Vietnam’s cuisine reflects not only its geographical position, but also incorporates Chinese (stir-frying, widespread consumption of noodles) and French (freshly baked baguettes, pâté) influences. Furthermore, regional differences also divide Vietnamese cuisine. 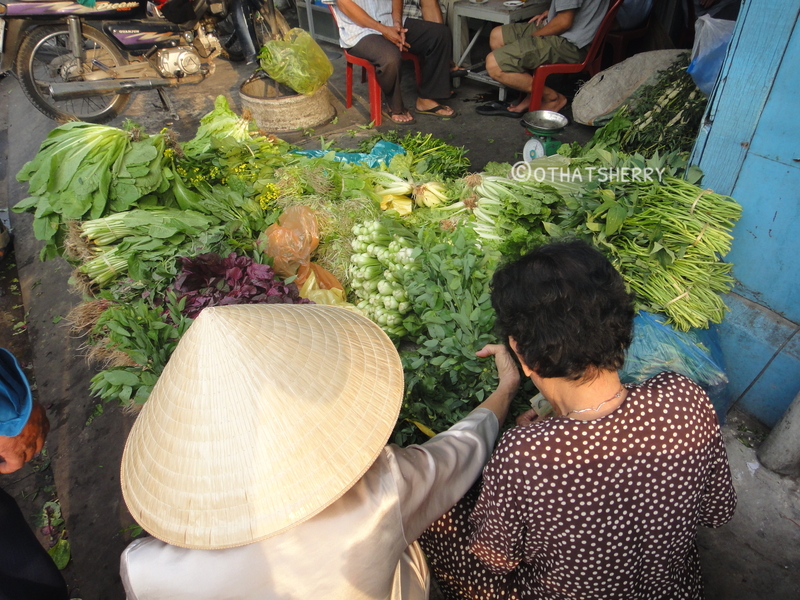 South and central Vietnam have better access to an abundant variety of fruits and vegetables, as well as fresh herbs; thus, food tend to be more flavorful and robust than that of the north. This entry was posted in Dining & Drinking, Reporting, Southeast Asia, Travel and tagged banh cuon, best vietnamese street foods, bun rieu, ho chi minh city, pho on July 5, 2013 by Sherry. This entry was posted in Photography, Uncategorized and tagged best travel, HCMC, pho, travel photo, Vietnam on February 24, 2013 by Sherry. Happy eating, Newport Restaurant Week has arrived!